The home appraisal process is complex. 3. How Much Does a Big Sale in the Neighborhood Affect My Home Value? Nothing can kill a home sale or mortgage refinance as quickly as a low home appraisal. Yet few home owners or home buyers understand just what factors contribute to a home appraisal -- many people assume that the features of the home are all-important. However, home appraisals are somewhat more complex than that. If sales in your area are strong, you can expect your home to appraise at a higher price than if sales are slow. When there's competition for available homes, this drives prices, and therefore appraisals, upward. In areas where sales are slow, this tends to drive home prices and appraisals down. You've heard the old saying about comparing apples to apples -- nowhere is that more important than in a home appraisal, where your home's value is determined according to what other similar homes have sold for. Comparable sales, known as "comps" in real estate jargon, affect home appraisal values more than any other external factor. A house's worth is often estimated by the recent sales of homes with similar features in the same neighborhood. For example, if home sales in your neighborhood indicate a trend of falling home prices, your home may appraise for less than you thought it was worth. "Add foreclosures and short sales to the mix and appraisals can run all over the map," Bankrate's Jay MacDonald writes. The location of your home affects an appraisal as well. 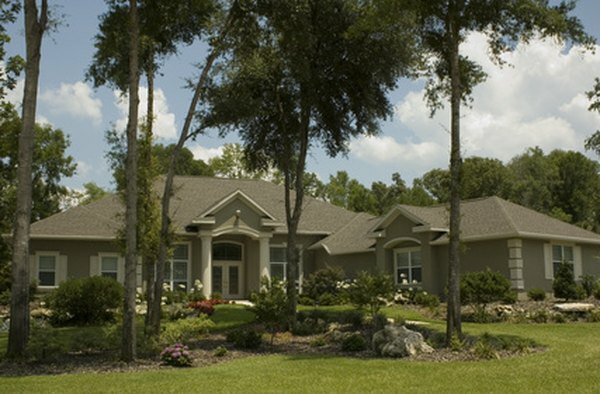 When two very similar homes have wildly different appraisal values, the difference is often the location of the homes. Homes in neighborhoods with good schools, low crime rates and other positive features will have higher appraisals than similar homes in areas where crime is a problem, empty or foreclosed homes are common, or airports or landfills are nearby. The condition of the home itself is obviously important. A home in good repair, with curb appeal and an updated interior will appraise higher than a similar home with a sagging roof, peeling paint, overgrown weeds, and appliances and floors that have not been changed in decades. S. Mitra Kalita of MSN Real Estate recommends that homeowners remember the $500 rule when deciding whether to make improvements in anticipation of a home appraisal. "Appraisers often value houses in $500 increments, so if there's a repair costing more than $500 that can or should be made, it will count against the property. Fix leaky faucets, cracked windows, missing handrails and structural damage."